Give in to luxury and be in a world of comfort like you've never experienced before in these mens Guy full slippers by Sleepers. Keep your feet looking stylish even when you're in full relaxation. The printed velour uppers provides an elegant and fashionable look whilst not compromising on comfort as the soft textile lining provides endless warmth and cosines. 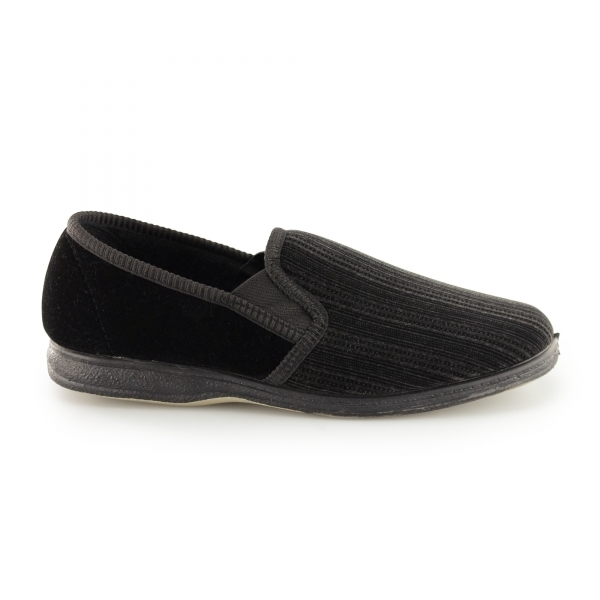 Slip into these slippers at your convenience as the twin gussets makes them incredibly easily to slide on. Ideal as both a present or just for yourself, these are must have slippers for every man.